Buildings, Super tall buildings, Spatial Structures (Stadium, Arena, etc. ), Pre-cast/Pre-stressed concrete buildings. Short on time? Let steel-structures sellers contact you. CS Structural Engineering Co., Ltd. The company's philosophy on all projects is to give the best service to clients in all phases of the design and construction process. We inform our clients of various framing systems and present them with comparative cost and design data. We provide our clients with as clear and complete construction drawings, specifications, and cost estimates as possible. We provide site supervision during construction and respond to problems quickly. Our staff are kept abreast of the latest design techniques and state of the art procedure. We believe this is of utmost importance when selecting a system to be used in a structure, and which must be consistent with the architectural concept of the project. At the same time, the system utilized must be both efficient and economical. Tianjin Huasheng Steel Structure Co., Ltd.
Qingdao Jiahexin Steel Products Co., Ltd.
1. The main frame (columns and beams) is made of welded H-style steel or hot rolled steel H section. Steel materials: Q345 & Q235 2. The columns are connected with the foundation by pre-embedding anchor bolt. 3. The beams and columns, beams and beams are connected with high strength bolts. 4. The envelop construction net is made of cold form C-style purlins. 5. Bracing System: Square Hollow Section and Circular Hollow Section 6. Surface Treatment: Rust-proof Painting with 2-4 Layers 7. Span: The max span is 50m between supporting bases. 8. The wall and roof are made of color steel board or color steel sandwich panels, which are connected with the purlin by Self-tapping nails. Also we can use rock wool, glass wool, EPS sandwich panels. 9. Doors and windows can be designed at anywhere which can be made into normal type, sliding type or roll up type. 10. Packing: Main steel frame without packing load in 40'OT, roof and wall panel load in 40'HQ. Email me pls, if any question. Sincerely look forward to cooperating with you. 1. The main frame (columns and beams) is made of welded H-style steel or hot rolled steel H section. Steel materials: Q345 & Q235; 2. The columns are connected with the foundation by pre-embedding anchor bolt. 3. The beams and columns, beams and beams are connected with high strength bolts. 4. The envelop construction net is made of cold form C-style purlins. 5. Bracing System: Square Hollow Section and Circular Hollow Section; 6. Surface Treatment: Rust-proof Painting with 2-4 Layers; 7. Span: The max span is 50m between supporting bases. 8. The wall and roof are made of color steel board or color steel sandwich panels, which are connected with the purlin by Self-tapping nails. Also we can use rock wool, glass wool, EPS sandwich panels. 9. Doors and windows can be designed at anywhere which can be made into normal type, sliding type or roll up type. 10. Packing: Main steel frame without packing load in 40'OT, roof and wall panel load in 40'HQ. Email me pls, if any question. Sincerely look forward to cooperating with you. Self Supported Structure Without Trusses, Purlins Or Ancillary Support Trusses, Purlins or any other kind of ancillaryà none of these is required to have PROFLEX SYSTEMS installed. PROFLEX Roof stands on its own up to 40 meter-spans, thus offering economy in both, time and energy. Free From Holes, Nuts, Bolts & Overlaps One of the strongest distinguishing features of our product is the mechanical system of panel connection, which requires no holes, nuts, bolts, overlaps or sealants, adding on to the economy of costs. Flexible Unobstructed 40 Meters of Clear spans Our System is a stunning success when it comes to roofing for wider spans. A continuous roof of up to 40 meters at a stretch can be easily and very effectively covered with PROFLEX SYSTEMS. The technology derives this essence from its formation that makes it self supported to sustain external load factors without any steel structure and intermediate columns. Economical Zero Maintenance This innovative technology makes our product needless of any ongoing efforts towards maintenance, thus completely eliminating the need for constant safeguarding. No bird nuisance As our System is free of any support structures, the possibilities of any kind of bird nuisance in the building interiors are eliminated. Overcoming this common problem faced by the conventional roofing alternatives, our product ensures you cleaner and more hygienic factories and warehouses. DURABLE 100% Leak-proof Our technology is full-proof against water seepage and extreme weather conditions. This leads to enhanced protection to goods & machinery stored in your facility, thus substantially reducing the costs related to product failure, rejection or damage. Larger Enclosed Volumes The absence of any support structures in our System results in larger enclosed volumes, which offers optimum space utilization. Resistance To Damage & Corrosion The basic purpose of a roof is to ensure utmost protection to the goods, machinery and people. And that's where our prime focus lies. Our System possesses certain dominant traits like non-combustible qualities and higher tensile strength, which makes them stronger against natural calamities like fire, earthquakes or hurricanes. Steel structur Our company , shandong jingta steel co., ltd.Have the most advanced product line for welding h beam and trunk-shape column. Three sets for h beams and one for columns. Our workshop covers 33600 square metres which equipped with 3 numerical control cut machine , 12 travelling crane, cast bolus machine , cutting machine, bending machine, correcting machine and so on. Our capacity of designing and processing 50, 000 tons annually. All our produced and processed steel structure component can be widely applied to the construction of more than ten industries such as light steel structure workshop, heavy industrial workshop, warehouse, exhibition hall, gymnasium, great super market, sail stop building, high and multi-floor civilian construction, lettering building, office building, teaching building , hospital building, villas and so on. Steel structures We are a manufacture and builder of steel structural building in china, we have rich experience in metal fabrication of steel structure with any shape and any size, we have modern fabriciation facilities: cnc cutter, rotary i beam welding machine, saw welding machines, sandblasting machine, straightening machine, drilling machine and so on. 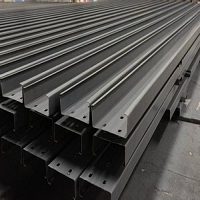 We are willing to fabricate steel structure according to customer's drawings, if you are builder, constructor, or if you have any steel structure to be fabricated, please contact us, we will do the entire steel work that could be included: steel materials, cutting, sandblasting, drilling, boring, welding, painting or galvanizing and packing to a container and making delivery to your appointed port, you will be satisfied with quality because we have strict quality control system to guarantee the quality to make sure to conform with the your country's fabrication standard. Hot deep galvanized fabricated structure, nuts and bolts.